These one year old Opuntia polyacantha v. polyacantha seedlings are the first cacti to show new buds in the greenhouse, here in Surrey, BC, this year. 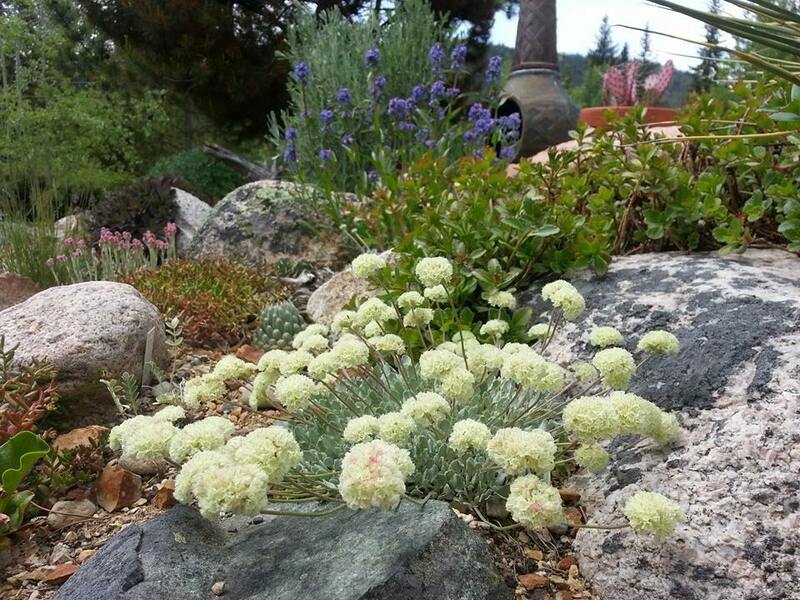 A quick view of the garden during an early snowmelt. This is a full month earlier than last year but no guarantee that more snow won't fall. 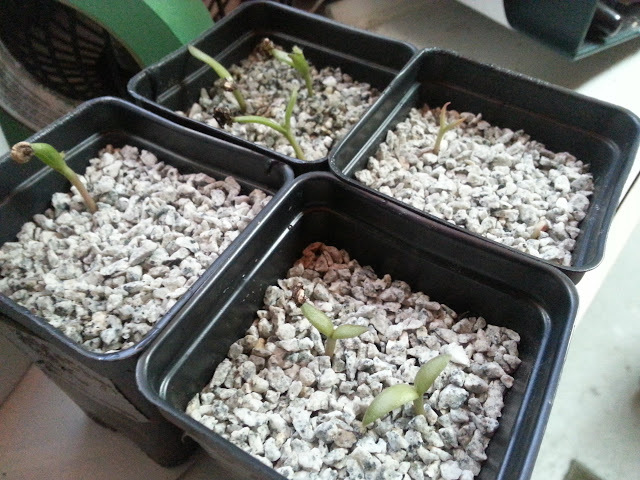 I started a bunch of Opuntia, Escobaria, Echinocereus and Pediocactus seedlings during the first week of February, 2013. I will plant the Opuntia out this Victoria Day weekend. Most of what you see here are from open pollinated Opuntia seed produced in my garden. Hand-pollinated Opuntia hybrids for 2013! 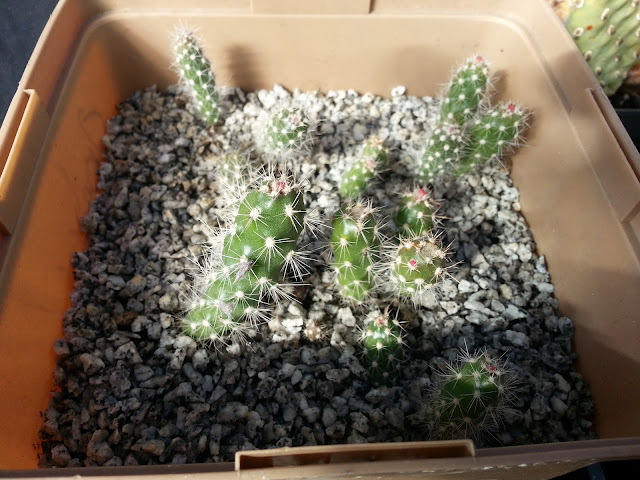 I created these hardy Opuntia hybrids for testing in the garden. There are more than just those pictured here. It will be interesting to see if and how much these look or behave differently from their parents. 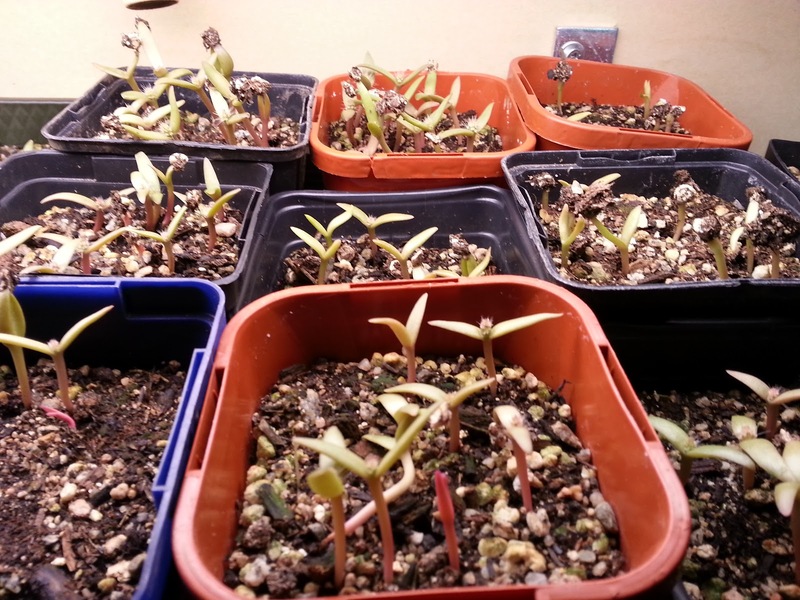 I started these seedlings during the first week of February, 2013.